You may have guessed by now that my daughter’s upcoming graduation party is my single focus these days. That can happen when you don’t really think through your invitation list and end up with 85 people coming when you thought you’d have 40-50 guests! If you’ve hung around here very long, you know I have a compulsion to use repurposed items and I’m doing it again today. I started buying a bunch of serving items and realized that I could make some repurposed boxes pretty so they’d work for the party. 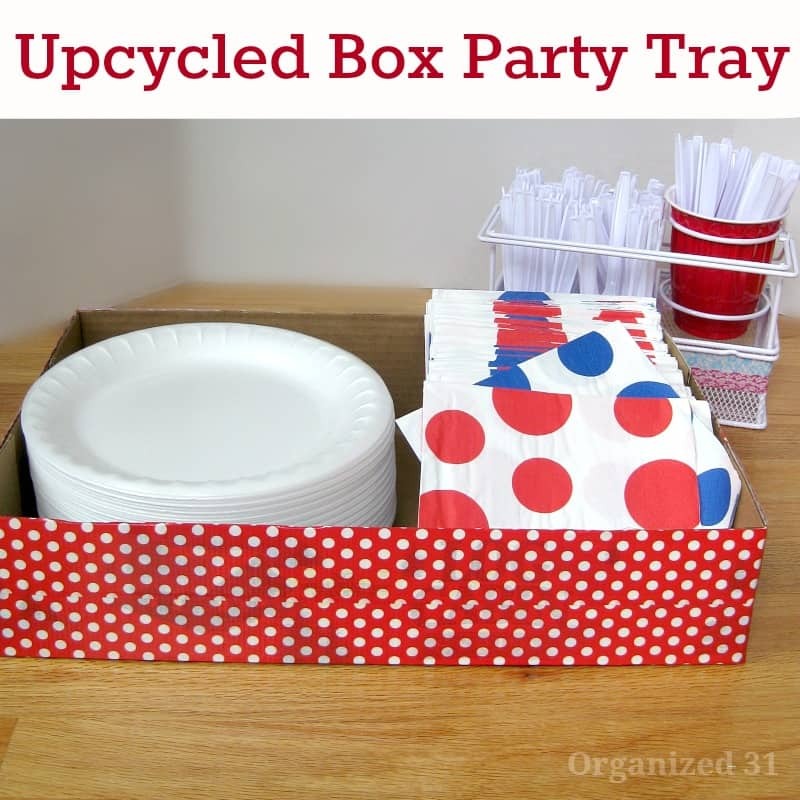 Here, let me show you my upcycled box party serving tray. A trip to to Costco to purchase party supplies led straight to these empty boxes and a lightbulb moment. 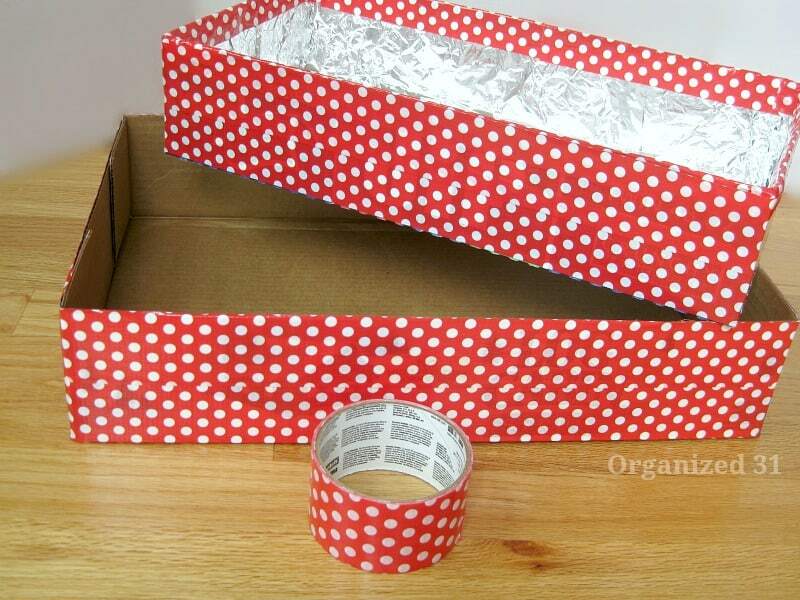 I already had tin foil and decorative tape at home, so it took 5-10 minutes to line one box with foil and then cover the outside of both boxes with tape. 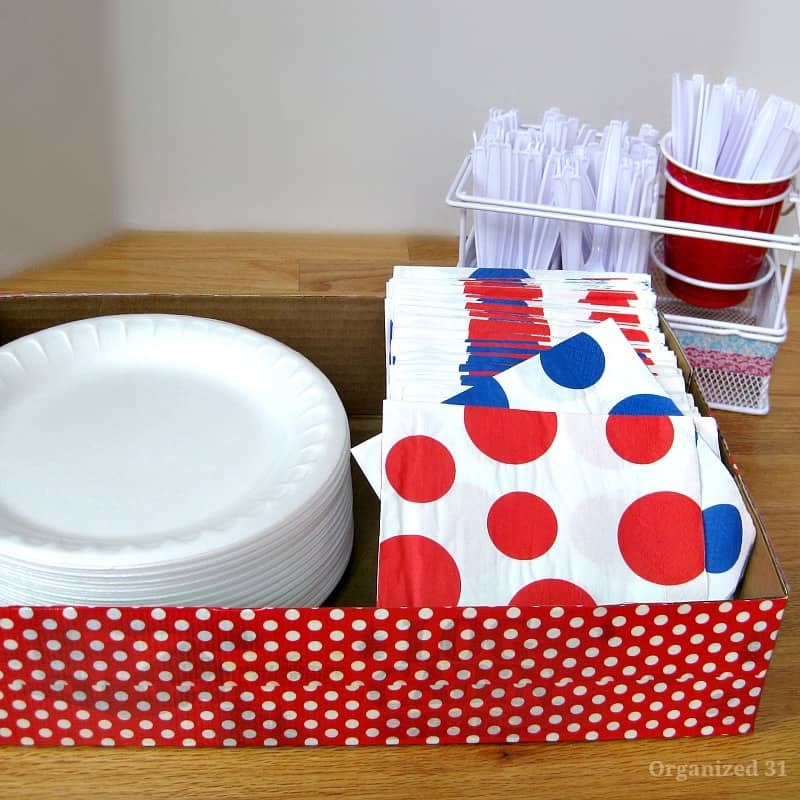 I’ll put cookies in the lined box (you’ll get to see that later) and use the other box to organize hold plates and napkins. 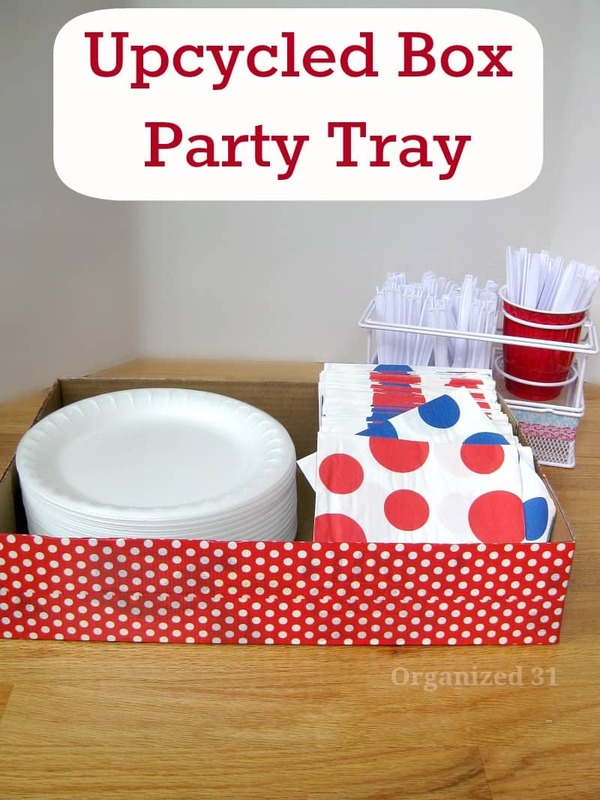 The perfect free (except for that expensive Costco trip) and super quick solution for party hostessing using an upcycled box serving tray. 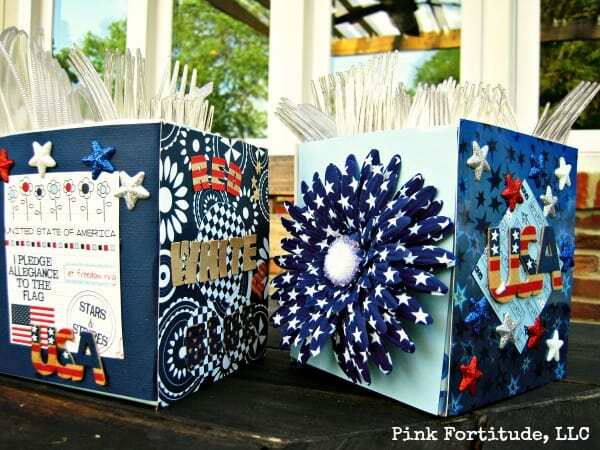 My friend, Holly at The Coconut Head’s Survival Guide had a similar upcycled party lightbulb idea. 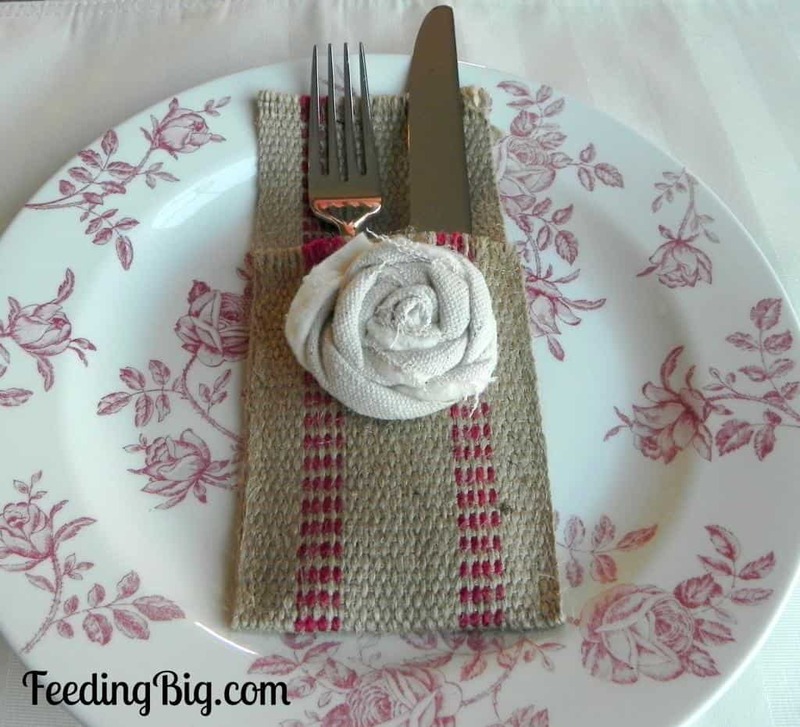 Upcycled breakfast box utensil holder. What a great idea! 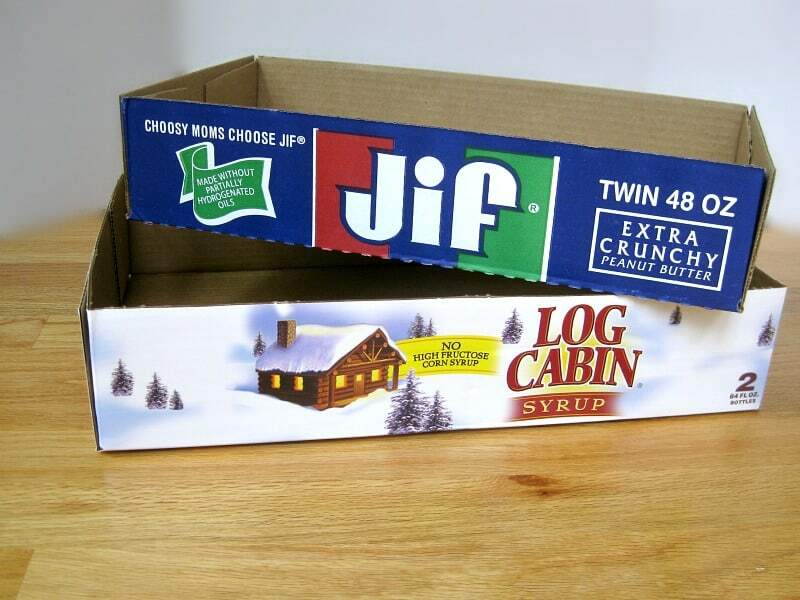 I would have never thought to use boxes like this for a way to organize party supplies. Hmmm….I am thinking this idea would be useful in many areas of my house! Off to Costco for my “free” boxes! Julie, I’m the same way. I look at things in the store and wonder if I could make it myself rather than buy it. What a great idea. I really like to have my things organized and am always looking for a better way to do that. Thanks for sharing at This is How We Roll.